Your back porch is the place where all of your summer memories are made. It is important that you consider the amazing Port Orford Cedar when choosing your desired wood. Being received from right off the coast of the Southern Oregon Coastal town of Port Orford, this spectacular decking installation has legendary durability, exceptional strength, and superior manufacturing. Port Orford Cedar has a penetrating semi-transparent stain which contains ultraviolet blockers to provide the greatest level of protection from the elements. 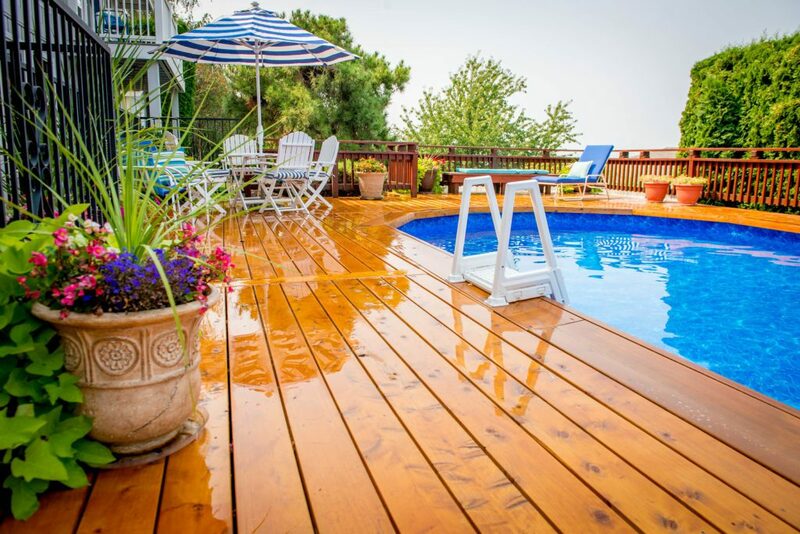 Indeed, Rick’s Custom Fencing & Decking has developed one of the best stains on the market with UV protectant and mildew resistance! Make sure to ask your sales representative for details. Interested in the best Port Orford Cedar in America? Speak to a sales representative soon!